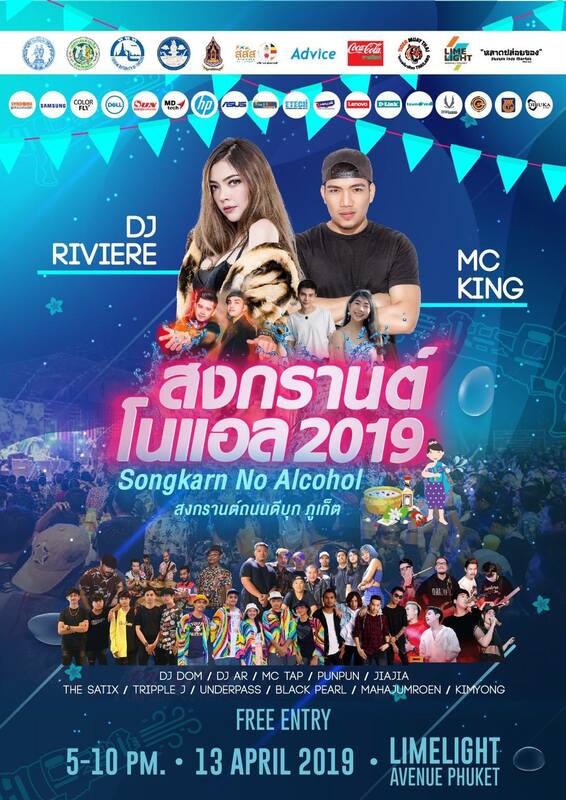 This year’s Songkran No Alcohol, or Songkran ‘No L’, celebration will take place on Dibuk Road, covering the area of Limelight Avenue Phuket and the 72nd Anniversary Queen Sirikit Park, in Phuket Town. The peaceful water festival offers a free concert with a mix of DJ and live bands. On April 13, the stage will be filled with DJ Riviere, MC King, DJ Dom, DJ Ar, MC Tap, Punpun, Jiajia, The Satix, Tripple J, Underpass, Black Pearl, Mahajumroen and Kimyong. 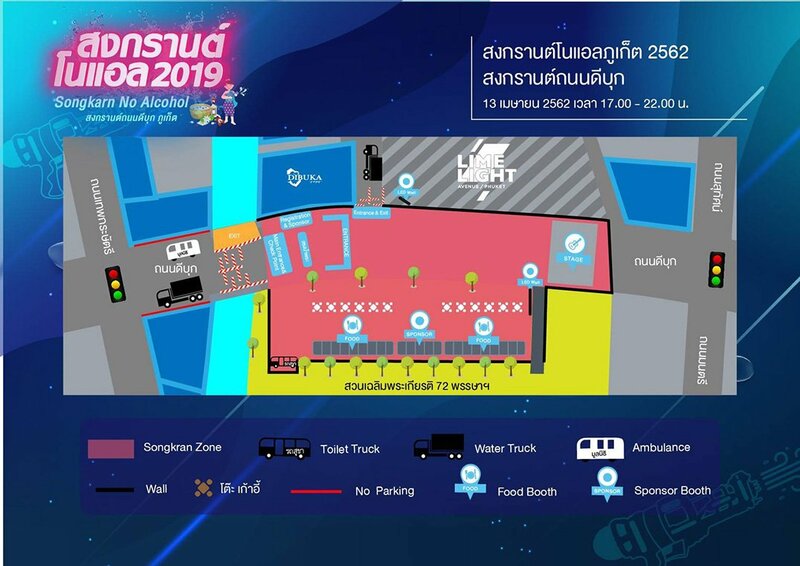 The attendees shall note that there will be some restriction to join this year’s Songkran No Alcohol celebration, including no alcohol beverage, no cigarette, being inebriated, being shirtless, no weapon and fighting while high-pressure water guns are not allowed as well as ice, foam, powder and colored water.